Flexible use for all guitars! 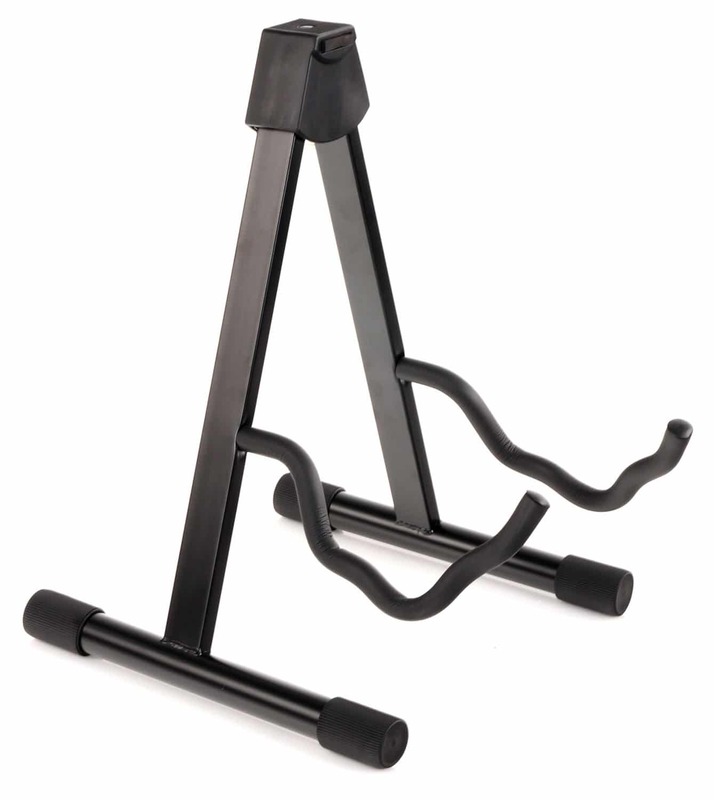 This low, robust and sturdy guitar stand in A-shape with specially shaped arms provides a fitting holder for both electric guitars and acoustic guitars. Of course bass guitars of all kinds can also be stowed on it. 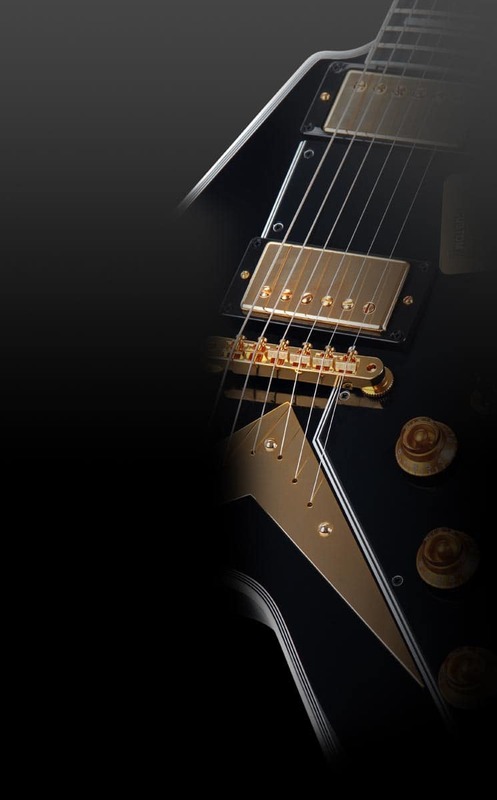 The extra large standing surface prevents your precious instrument from dropping! 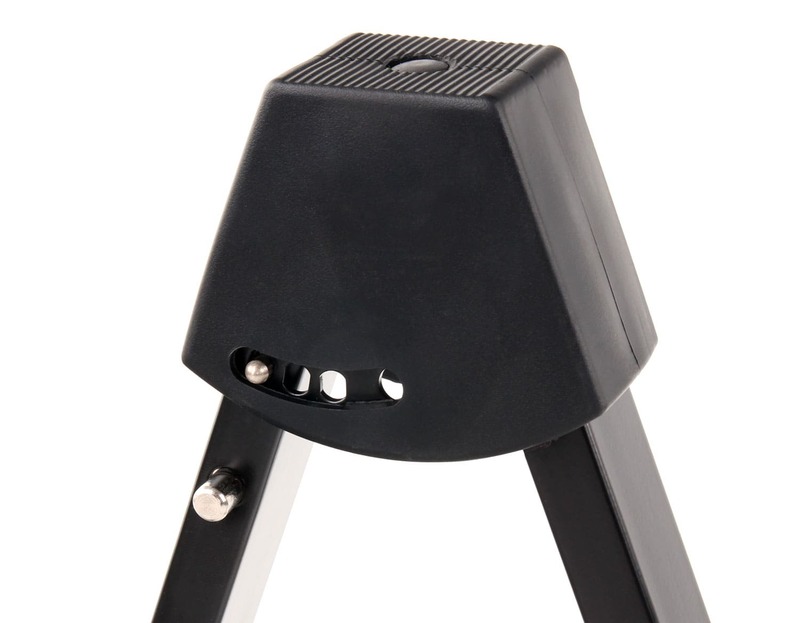 The combi-guitar stand is made of powder-coated metal and can be adjusted in width quickly and easily through an innovative push button system and be folded up absolutely compact. 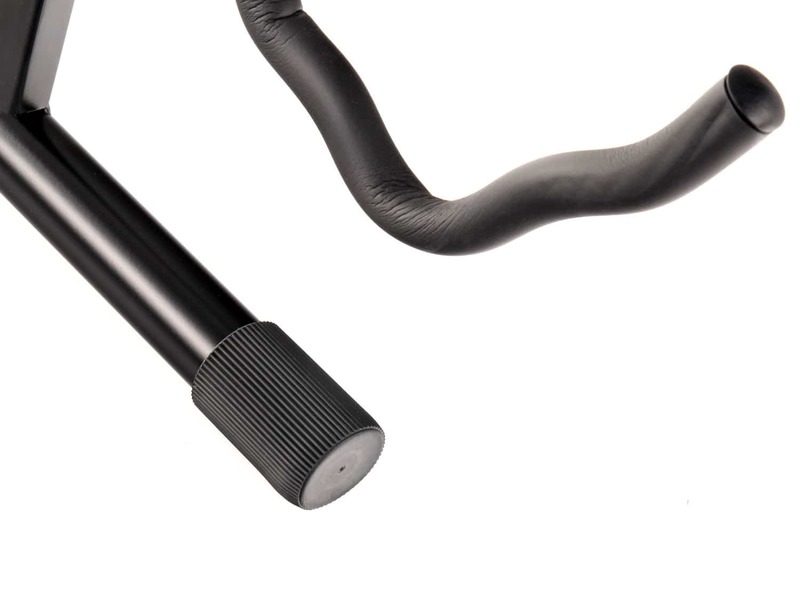 All contact surfaces are provided with an instrument gentle and non-slip padding, ribbed rubber feet provide solid stand.